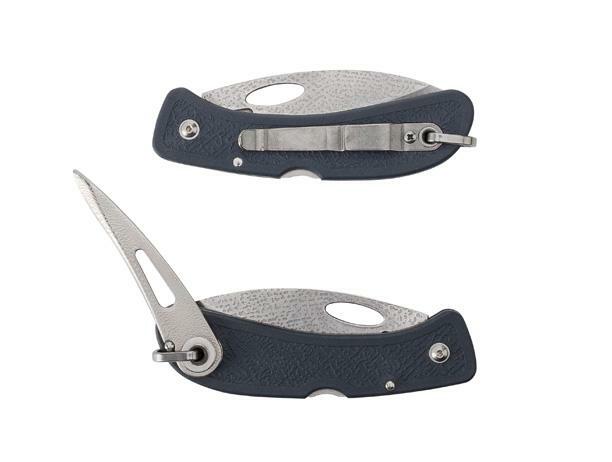 The Boye Sheepsfoot Folding Knife is Murrays sailing knife of choice, having tried most everything on the market we find that the Boye meets the needs of sailors and represents the best value on the market. It features a rope pick, shackle tool, and a blade that is incredibly strong. We love our Boye Knives and trust that you will too. A traditional shape for safety and a consummate rigging knife, the Boye Sheepsfoot Folding Sailing knife is perfect for everyday jobs, in white knuckle situations when you’re being slammed around on boat or in critical rescue conditions where you need to part a line quickly. Because the Sheepsfoot Folder has a blunt tip, it has minimal risk of accidentally piercing someone with a sharp tip in urgent situations. 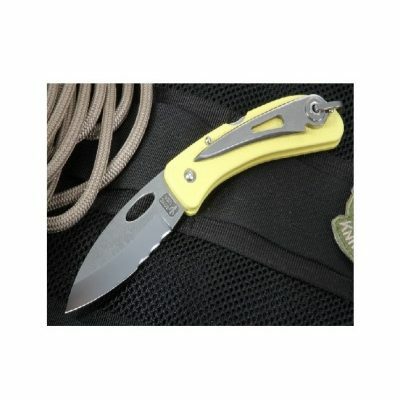 This knife is easy to carry and deploy and can be opened and closed with either hand. So, it will cut virtually any line – quickly, cleanly, and safely. It can be used for hours on end and still cut effectively and repeatedly, will never rust in salt water (blade or fittings), and is non magnetic, so it won’t affect a compass or electronics. The blade bears the markings of its fiery birth. Because the blade takes on metal flow lines and has the natural grain texture of the porcelain mold, it gives it an “organic” look. The irregularities and patterns are superficial and make each knife unique. This finish is very wear resistant, and is a good choice for an all around working tool.